screenFetch is a Bash Screenshot Information Tool that prints ASCII art along with basic system information when executed. Many distributions including Fedora Linux are supported with unique ASCII art included. It is useful to run it on login automatically to immediately see system information. screenFetch is a Bash Screenshot Information Tool that prints ASCII art along with basic system information when executed. 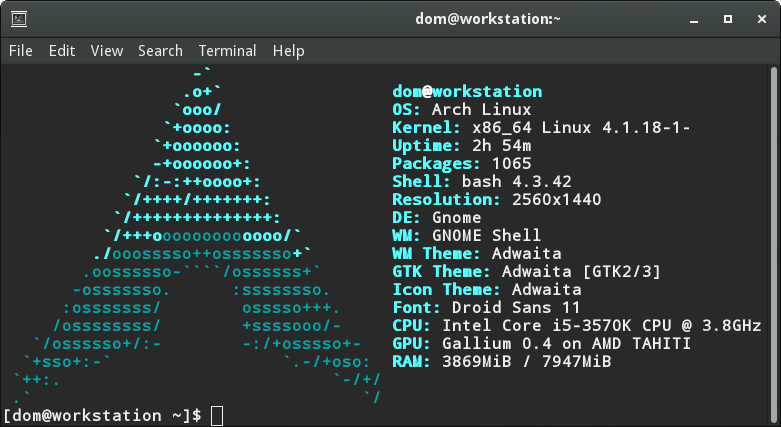 Many distributions including Arch Linux are supported with unique ASCII art included. It is useful to run it on login automatically to immediately see system information.